Keith and Robin Lawton founded Lawton Winery in 2000. Keith was born in England, raised in Rhodesia (now Zimbabwe), then moved to South Africa for ten years where he met and married Robin. They moved to their 26 acre farm near Newberg in 1979 and began planting a vineyard in the mid 1980’s. Keith had 25 years of home winemaking experience before establishing the winery. The vineyard eventually grew to over 10 acres. The first wine released was their 1998 vintage. 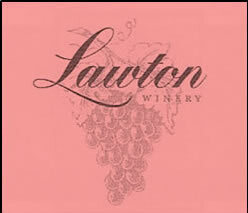 Lawton Winery was located at 20990 NE Kings Grade, Newberg, OR 97132. The Lawton’s retired and closed Lawton Winery on January 1, 2010.